Our OAG Women's ministries meet on the 2nd Thursday of every month at 6PM in the Heart Rock Café. All Ladies in the church are invited and encouraged to be a part of our Women's Ministries, which has an outreach to the needs of our local church/community and other Assemblies of God churches, whether the need is personal, spiritual, financial, etc. a. Fund raising events such as cake auctions, chili bakeoffs, pancake suppers, etc. b. Donating money, food or gifts to special needs / events. c. Volunteering time to other church ministries when needed. d. Offering ideas to develop new interests or improve on existing ones. a. Missions - local, national and international within the AG family. b. District ministries which include monthly tithes and offerings from WM's treasury for Headquarters approved activities such as those related to education. c. The Benevolence Project which funds two Latin American children and helps with girls' projects with the Assemblies of God. d. Children's Ministries (Girls' Ministries, BGMC and others) when requested by Pastor or other leaders. 2. 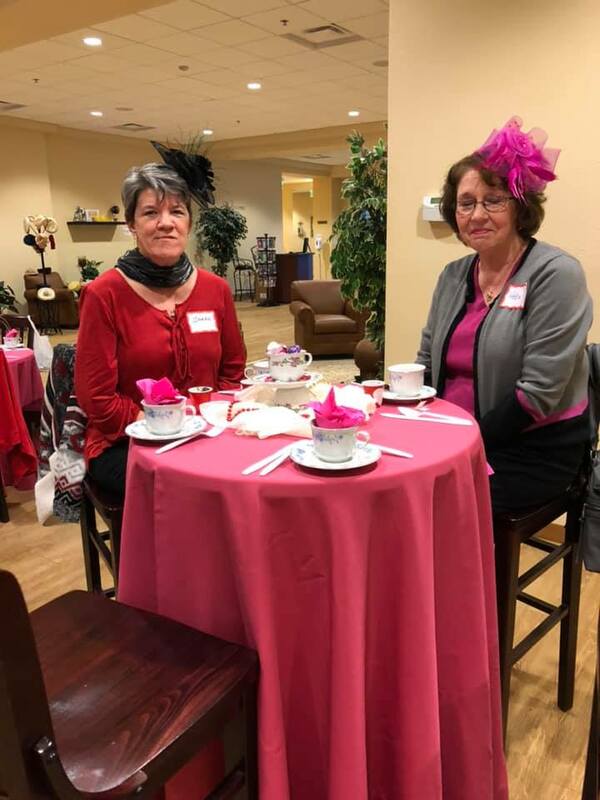 To provide opportunities for fellowship with other church women through fun activities such as craft fairs, special events, dining out, picnics, etc. Be sure to visit the Oxford Assembly of God Facebook page for pictures of all our events, as well as for news, updates, and other connections. 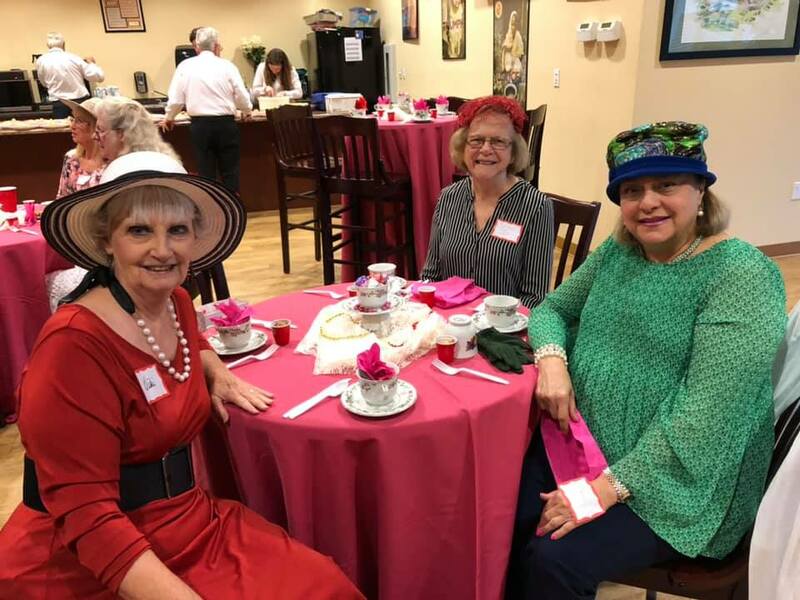 The ladies took the opportunity to dress up in hats, pearls, and gloves for Valentine’s Tea on Valentine’s Day 2019. 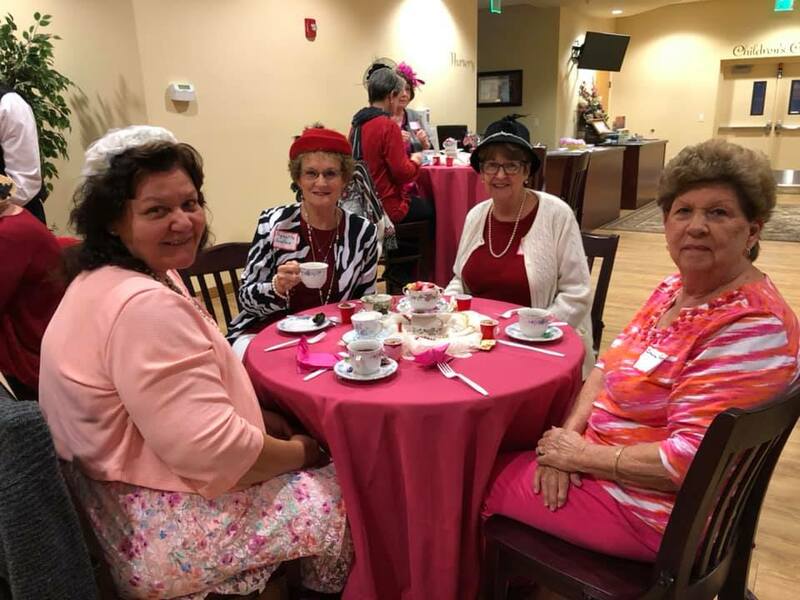 All the ladies were invited to bring their favorite tea cup and had a wonderful evening of fellowship, music, and inspiration. Our January Ladies Fellowship was on Thurs., Jan. 12th in the OAG Heart Rock Café. It was a "Winter White-Out". They wore all white clothing, had white food and a white activity. Our special guest speaker was be Judy Flickinger, author of the book: “Spirit Matters”.